Are you attending the National Head Start Conference? 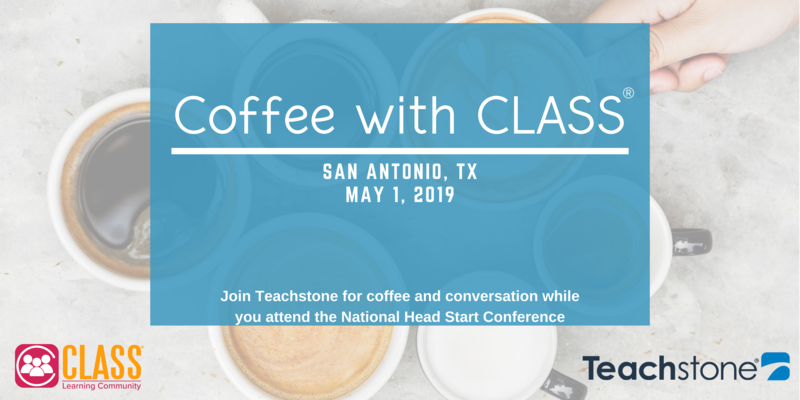 Join us for coffee and CLASS! Teachstone is excited to have staff both attending and presenting at the National Head Start Conference. While there, we would love to meet up with you to talk about CLASS. Network with other enthusiastic educators. Learn from the experts! CLASS specialists and Teachstone Leadership will be there to answer your questions. Who doesn't love free coffee?